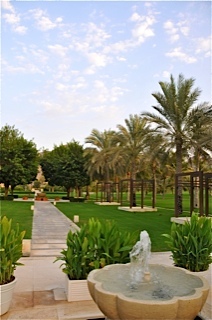 Muscat: Under the patronage of Muscat Municipality, Ministry of Housing, and Supreme Committee for Town Planning, Oman‘s first-time Conference on Sustainable Urbanisation kicked off yesterday (Monday) at Al Bustan Palace – A Ritz-Carlton Hotel with the aspiration of addressing local, regional and global challenges posed by rapid urbanisation by calling for comprehensive sustainable planning for urban growth. 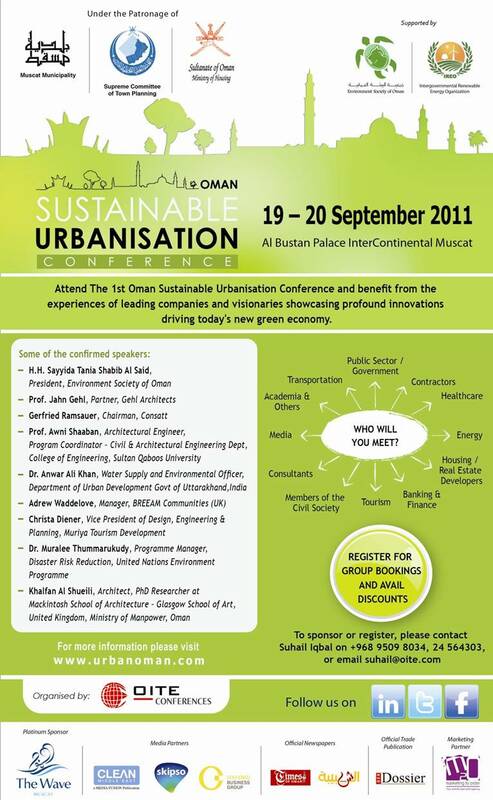 Held under the theme of “Working Together in Creating Sustainable Urban Communities for Tomorrow”, the 1st Oman Sustainable Urbanisation Conference 2011 endeavours to provide an opportunity for experts to share best practices among countries and cities on the use of infrastructure in achieving sustainable development in the urban areas. The event also aspires to provide a venue for exchange of ideas and experiences on improving competence of cities and governments to plan, implement and work towards achieving a sustainable future. The event brings together professionals, academics, policy makers and politicians from the Sultanate and the region to address sustainable urbanisation issues in order to improve the environmental impact of cities. 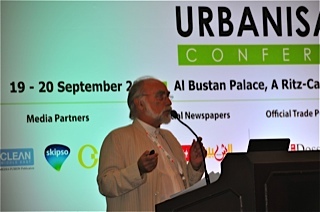 The event also attempts to share best practices towards achieving sustainable design in urban areas and cities. The conference started with the introduction speech by Mr. Ahmed Saleh Baabood, Executive Chairman-OITE, followed by the welcome speech by Engineer/ Khalid bin Mohammed bin Omar Bahram, Assistant of Head of Muscat Municipality. 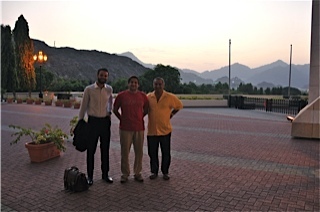 This was followed by a Keynote Speech on Environmental Sustainability addressed by H.H. 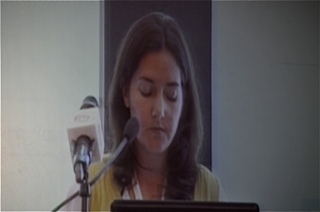 Sayyida Tania bint Shabib Al Said, President – Environment Society of Oman. 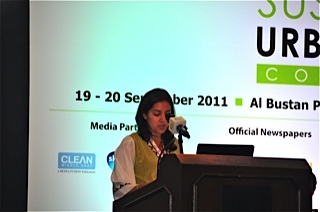 Besides, a keynote presentation on Urban Waste Treatment and Recycling was delivered by H.E. Abdullah Al-Ali Al Nuaim, President & Chairman, Board of Trustees, Arab Urban Development Institute (AUDI), & Former Mayor of Riyadh. The first day of the conference featured a prestigious line-up of renowned speakers and industry experts including Dr. Mehdi Ahmed Jaaffar, Vice President, Environment Society Oman (ESO); Jeffrey Lagomarsino, Deputy Secretary-General, Intergovernmental Renewable Energy Organisation (IREO); Sami Al Ali, Senior Advisor for Sustainable Development – Middle East, Intergovernmental Renewable Energy Organisation (IREO); Gerfried Ramsauer, Chairman, Consatt Ltd Oman; Prof. Architect Jan Gehl, Founding Partner, Gehl Architects – Urban Quality Consultants, Copenhagen; Eng. Haidar bin Abdul Hadi bin Qambar Al Lawati, Planning Expert, Ministry of Housing; Prof. Awni Shaaban, Architectural Engineer, Program Coordinator – Civil & Architectural Engineering Dept, College of Engineering, Sultan Qaboos University; Aurel von Richthofen, Asst. 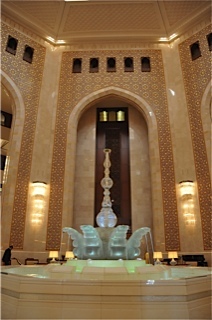 Professor for Architecture and Computer Aided Design, German University of Technology in Oman (GUtech). The two-day conference hosts two panel discussions comprising leading figures from various sectors. Chaired by Dr. Mehdi Ahmed Jaaffar, Vice President, Environment Society Oman (ESO), the day-one panel discussion highlighted the Challenges of the 21st Century Urbanisation. On the other hand, the day-two panel discussion, which will be chaired by Dr. Mustaque Ahmed, Director, Center for Environment Studies & Research, will underline the concept of Green Building in Oman. The conference will conclude today (Tuesday) with presentations on Green Building Developments in the MENA Region, a Multi-Level Strategy for Houses, Neighborhoods and Cities in Oman, Solid Waste Management in Urban and Industrial Environments, Urban Development in Oman: Critical Assessment of Strategy and Implementation, Fully-Integrated Urban Development Technologies, Energy Savings From Centralized Distribute Cooling Schemes, and Energy Efficient Buildings. 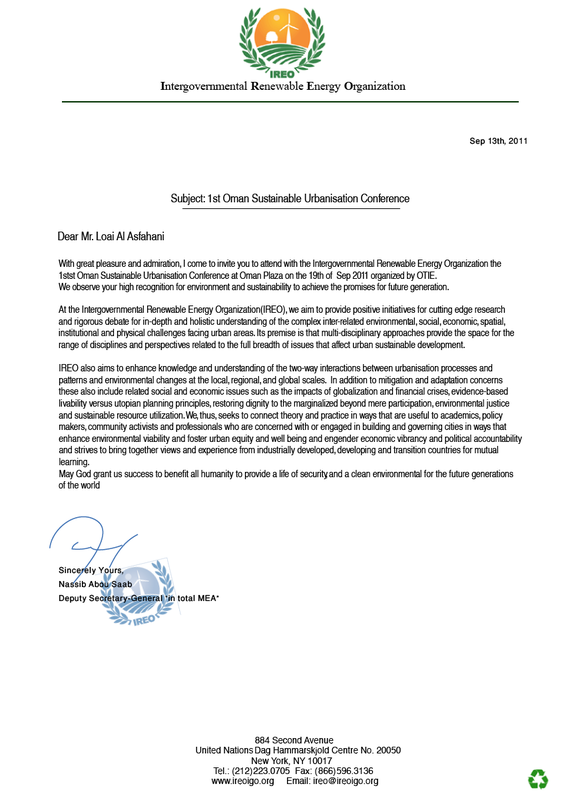 The Sustainable Urbanisation Conference is supported by the Intergovernmental Renewable Energy Organisation (IREO) and Environment Society of Oman (ESO). The Wave and Al Ahlia Environmental Services Co. LLC have signed as Platinum Sponsors, Tabreed Oman as a Silver Sponsor, Larsen & Toubro as a Bronze Sponsor, COWI as book sponsor, and Secured Shredding Services (SSS) as an exhibitor.